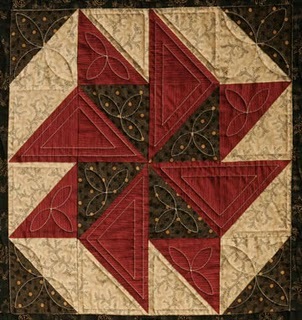 Civil War Quilts is a new blog that offers a free Block of the Week in honor of the American Civil War Sesquicentennial. So what is a sesquicentennial, anyway? Well, it means 150 years – either an anniversary, time period of that length, or occurring that often. In this case, it’s the 150th anniversary of the start of the Civil War, which began April 12, 1861. 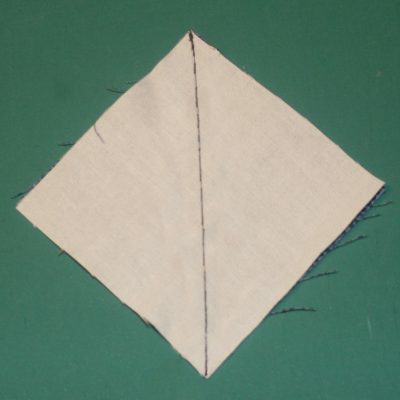 Throughout 2011, author and quilt historian Barbara Brackman will post a quilt block each week along with a true story about people who lived during the Civil War. 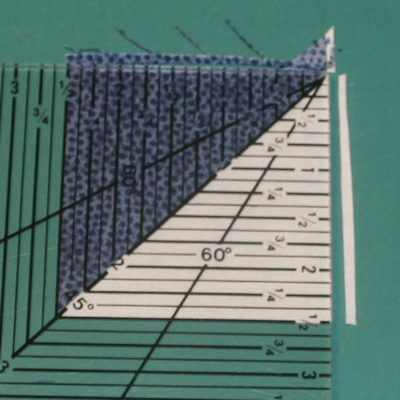 Just think – by the end of the year, you could have 52 blocks completed! 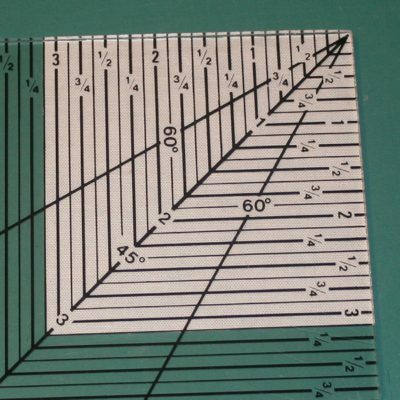 The first block is called “Catch Me If You Can” and requires 16 half-square triangle units. 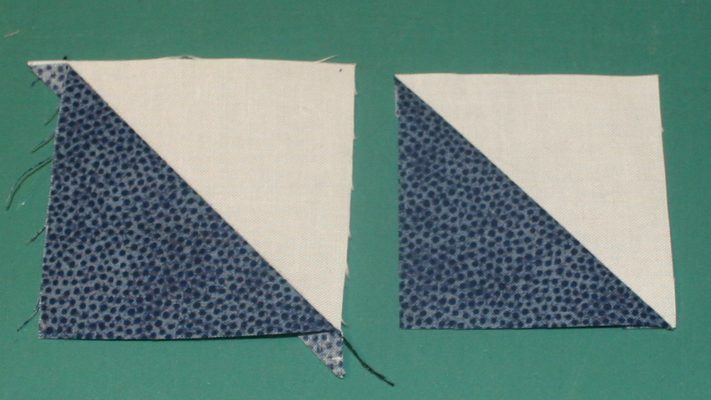 There are instructions on the site, but for piecing with children I recommend a different method than the one shown. 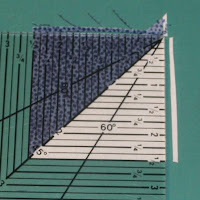 This kid-friendly technique eliminates sewing along a bias edge and allows for the less-than-perfect ¼-inch seam allowances that often occur when learning to sew. 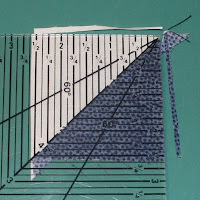 Then pair your fabric squares right sides together, with the lightest one on top, and draw a diagonal line from one corner to the other.﻿﻿ I used a black marker so that you could easily see the line but I usually use a pencil. 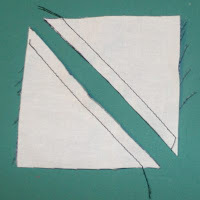 ﻿﻿Stitch ¼ inch on both sides of the drawn line and cut. 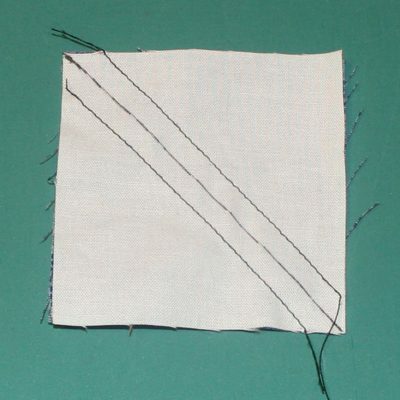 I used black thread so you could see it easily but you'd want to use thread to blend with your fabric. Stitch ¼ inch on both sides of the drawn line. 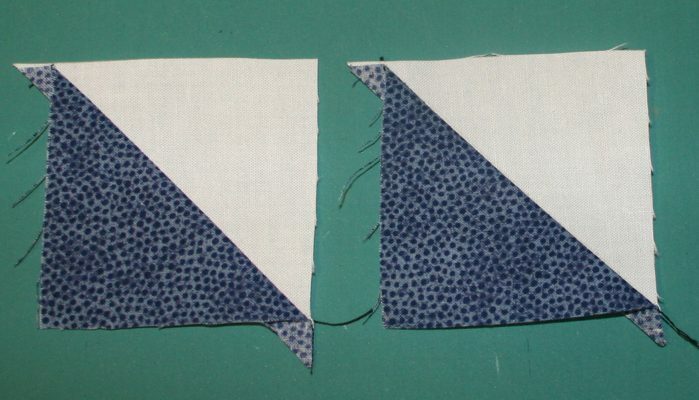 ﻿ Press each unit open, with the seam allowance toward the darker fabric. Press open - you now have two units! 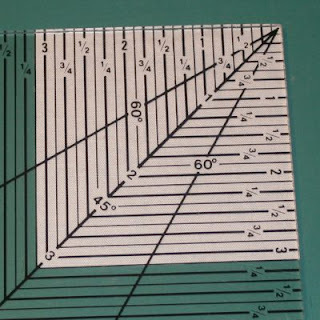 Now square each unit to 2½ inches. Trim your square on two sides. 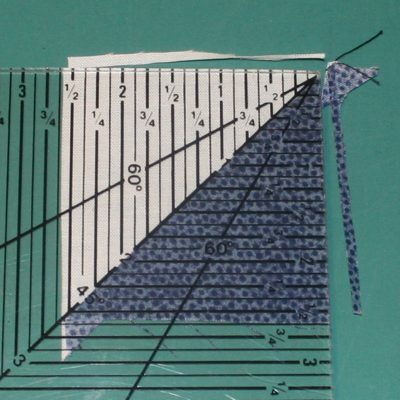 Finish squaring to 2½ inches. Untrimmed and trimmed units compared. What a great idea for a blog. Through the Home of the Brave Quilt Project, I have become acquainted with Civil War quilters and the US Sanitary Commission of the North and the Gunboat Ladies of the South. 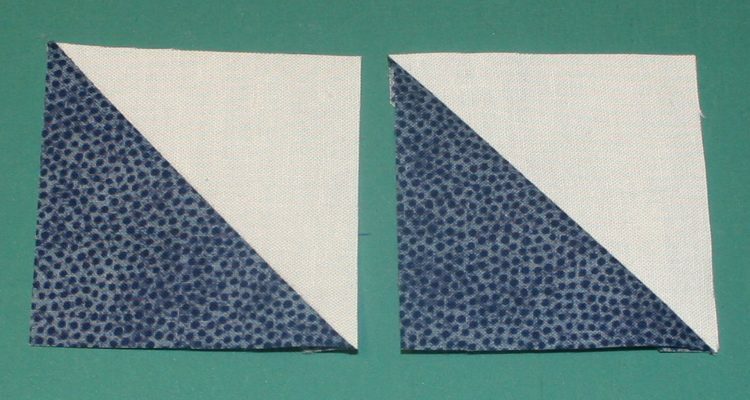 I will be coming to your blog each week to get the block. 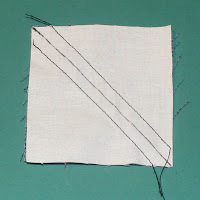 Yes, Civil War Quilts is a great idea for a blog, especially beings 2011 is the sesquicentennial. I am very excited about keeping up with the weekly blocks and will post links here along with kid-friendly directions or tips to make piecing easier. 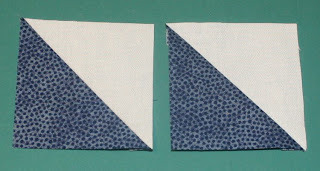 In fact, in looking at this block, I see another way to make it so I guess I'd better write another post right now!